While Google's chief executive Larry Page recently described an $2.5 billion annual run rate for the company's mobile revenues, the company has testified that it has earned less than $550 million from Android across four years from 2008 to 2011. Despite Android being widely used by smartphone makers, Google has struggled to gain traction for app sales in Android Market. 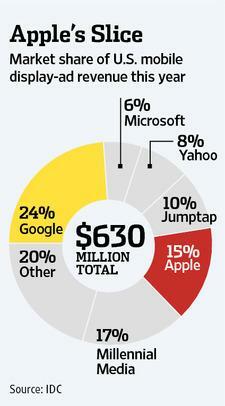 Apple's iOS platform continues to eat up around 90 percent of mobile software revenues. 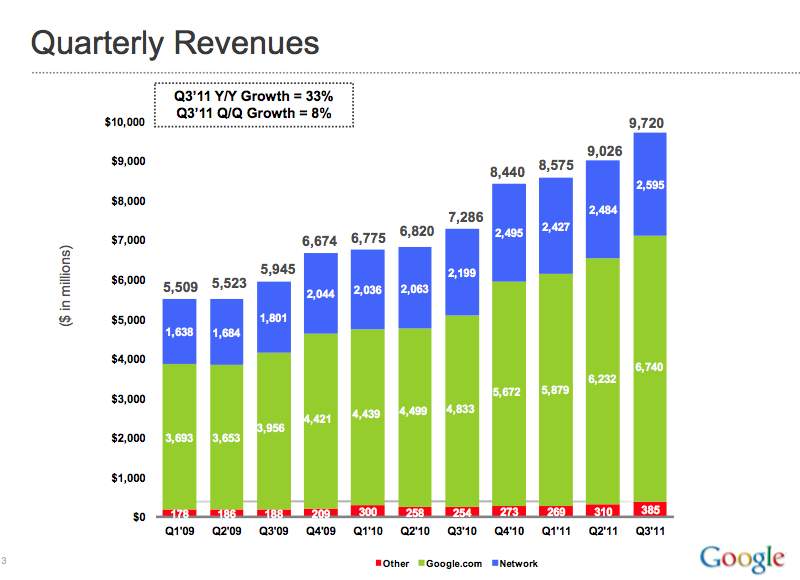 Google's efforts to take over Apple's iPhone sales with Android licensing and its attempts to blunt Apple TV with with its own Android-based Google TV in 2010 and eat up iPad sales with Android 3.0 Honeycomb tablets last year have all helped to sour the once close partnership the search giant formerly maintained with Apple. Apple has subsequently scaled back its support for Google services, ignoring many of Google's enhancements to Maps (including navigation) and YouTube (including movie rentals) in its iOS client apps. Apple appears to be working to develop its own maps services, as evident in the new iPhoto app for iOS, following several acquisitions of smaller mapping companies. 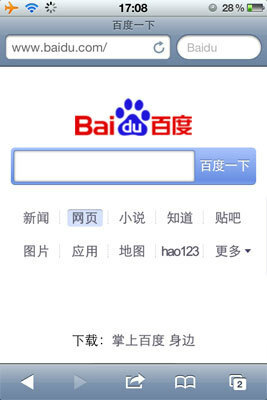 Apple has also added Microsoft Bing and Yahoo search to its desktop and mobile Safari browsers (albeit as optional search engines), and appears tilting toward making Baidu the default search engine for Chinese users. Apple is also resisting efforts by Google to force Safari users into web advertisement cookie tracking, something Apple has opted Safari users out of by default since its original release. In addition to developing its own mapping services, Apple has also launched iAd as its own mobile advertising unit to help developers monetize their free apps. iAd market share in 2011. Despite scathing predictions of death from competing ad networks and marketing organizations, iAd has successfully retained 15 percent of all US display ad revenue in 2011, despite only being available on iOS devices, which make up roughly half of all mobile devices.